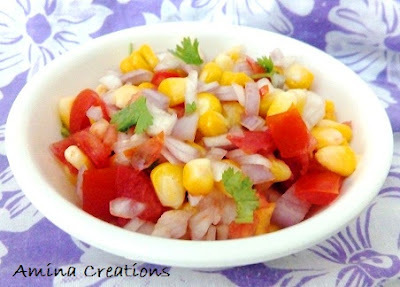 Chaats have a perfect blend of spiciness, tanginess, salt, crunchiness and taste all in one bite which makes it a very popular and a much desired food for many. 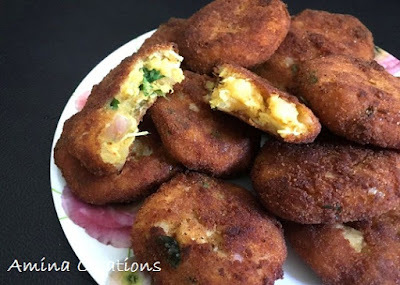 Chaats are my favourite as well and today, I am going to share a delicious recipe of chaat made with whole wheat pooris and chickpeas. 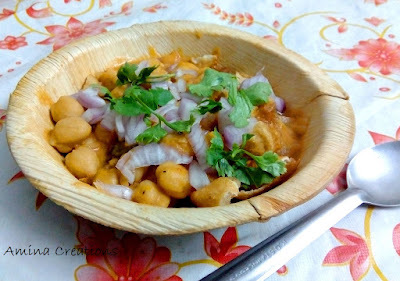 I tasted this chana poori chaat at a chaat counter and was really impressed with its taste. So tried to make it at home as well. The chaat came out awesome and everyone at home simply loved it. Sharing the recipe here. I am sure my readers too will like it. Wash and soak the chickpeas in water overnight. Pressure cook with water and salt for 8 whistles or till soft. Meanwhile take flour, sooji, salt and water in a bowl and knead to form a firm dough. Roll out thin chapathis and use a circular lid or bowl to press over the chapathi to make 3 or 4 small pooris from one chapathi. In the same way make all the pooris and keep ready. Heat oil in a pan and deep fry the pooris till golden in colour. Transfer to a plate and on cooling crush into pieces. Keep ready for assembling. Now to make the chana gravy, take half of the boiled chickpeas in a mixer grinder and grind to a smooth paste. Keep ready. Heat oil in a pan, add onions and saute till they turn soft. Now add the masala powders and salt and mix well. Add the tomato puree and cook till oil starts separating. Add the ground chickpea paste to this and coriander leaves and mix well. Finally add the remaining chickpeas and 1/2 cup water and bring to a boil. Switch off the gas. Your chana gravy is now ready. Now to assemble, take a bowl and add the crushed pooris. Top it with a ladleful of chana gravy and top it with onions, sev and coriander leaves. If you like this post please post a comment in the comment section below and do not forget to share this post through your social media channels. Like us on Facebook, Twitter, Instagram and Google plus for updates on new posts.